On Tuesday evening I went along to the very swish In Fear premiere at the ICA presented by Stella Artois and along with a terrifying film I got to enjoy the pre party at The ICA Gallery and hangout with the stars of the film and some legendary talent who came along to support the release of BIMA Best Debut Director nominated Jeremy Lovering's first feature film, a creepy tale of a new couple lost in the woods. After a frosty chalice of Stella Artois in central London our party headed to the Institute of Contemporary Arts where we walked the red carpet alongside Director Jeremy Lovering and stars of In Fear - Alice Englert and Downton Abbey heartthrob Allen Leech who plays Max. 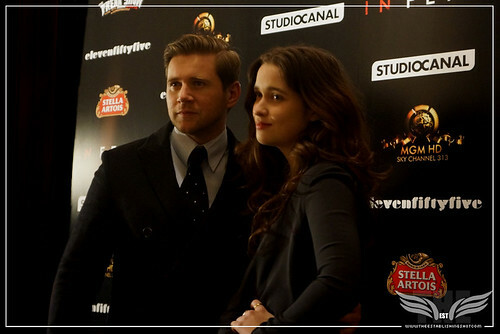 The Establishing Shot: IN FEAR PREMIERE - STARS ALLEN LEECH & ALICE ENGLERT ON THE RED CARPET @ THE ICA PRESENTED BY STELLA ARTOIS, a photo by Craig Grobler on Flickr. We glided very much like the guys from Reservoir Dogs (anyway that's how it played out in my head) into the gallery space - which was impressively decorated and it was clear a lot of effort and attention had gone into the evening - much to the appreciation of the heaving crowd made up of cast, filmmakers and friends of In Fear. 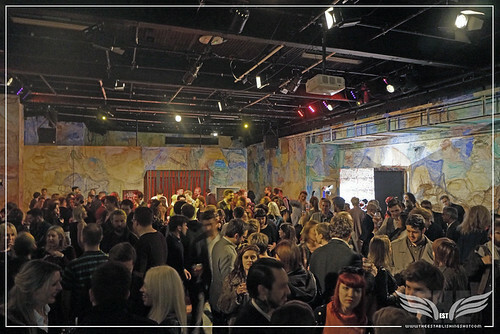 The Establishing Shot: IN FEAR PREMIERE @ THE ICA PRESENTED BY STELLA ARTOIS, a photo by Craig Grobler on Flickr. 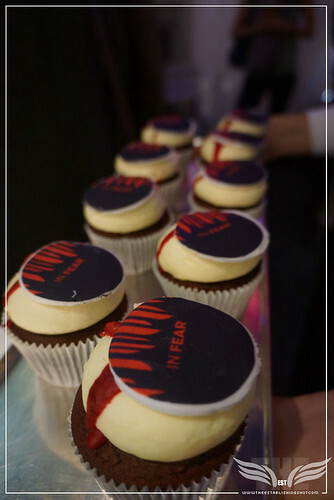 The Establishing Shot: IN FEAR PREMIERE CUPCAKES @ THE ICA PRESENTED BY STELLA ARTOIS, a photo by Craig Grobler on Flickr. 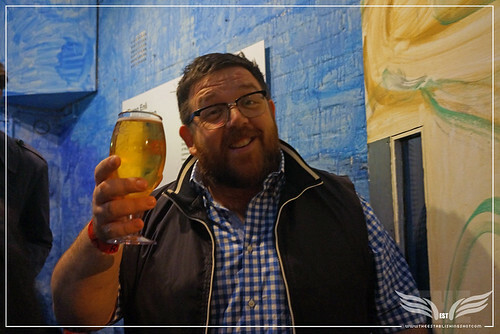 The Establishing Shot: IN FEAR PREMIERE - NICK FROST @ THE ICA PRESENTED BY STELLA ARTOIS, a photo by Craig Grobler on Flickr. In between partaking in specially made In Fear canapés and making sure that Stella Artois sommelier's crown remover saw more action than Thor's hammer. You see - our hosts, Stella Artois not only supplied Leuven's finest for the evening but have a keen interest in the Arts, particularly film - and as well as their prestigious Cannes activities have supported the UK launch of art house film favourites; like Bart Layton's frightening The Imposter, Will Lovelace, Dylan Southern's sublime Shut Up and Play the Hits as well as cherished homegrown features including both of Ben Wheatley's last films Sightseers and A Field in England (allowing the film to be that enabled the UK Premiere to be satellite broadcast to 16 cinemas within the UK) through their Stella Artois Bursary Programme. The Stella Artois Bursary Programme helps films reach as wide audience as possible and raise awareness of unique independent productions and having impressed audiences at Sundance and Frightfest film festivals In Fear held a lot of promise. Circulating around the room I managed to catch up with friends, colleagues, the team behind In Fear, as well as local luminaries that had come along to support In Fear. Pensive Director Jeremy Lovering whose Sundance blog you can read over here http://blog.film4.com/author/jeremyloveringfilm4/. After an international tour with In Fear Lovering is working on fan favourite Sherlock. 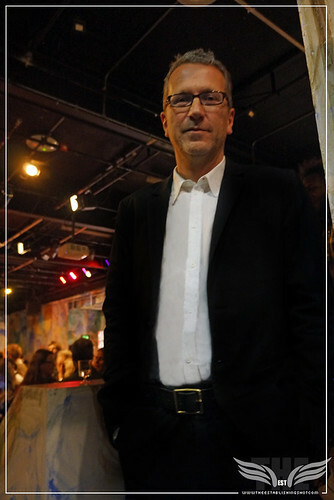 The Establishing Shot: IN FEAR PREMIERE DIRECTOR JEREMY LOVERING @ THE ICA PRESENTED BY STELLA ARTOIS, a photo by Craig Grobler on Flickr. Jane Campion's daughter Alice Englert wowed audiences in Ginger and Rosa and more recently the big budget Beautiful Creatures and can shortly be seen along with Josh Hartnett in Roland Joffé's Singularity. 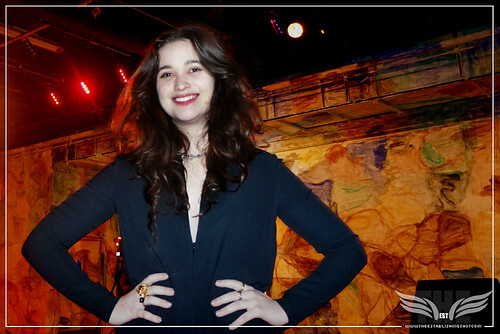 The Establishing Shot: IN FEAR PREMIERE - STAR ALICE ENGLERT @ THE ICA PRESENTED BY STELLA ARTOIS, a photo by Craig Grobler on Flickr. Along with Downton Abbey's Allen Leech. Allen is currently filming The Imitation Game for Morten Tyldum (Headhunters) with Benedict Cumberbatch, Keira Knightley, and Matthew Goode as well as Grand Piano for Eugenio Mira (Time Crimes) with John Cusack, and Elijah Wood. Further down I talk about a sweet prank Allen Leech pulled on a fan. 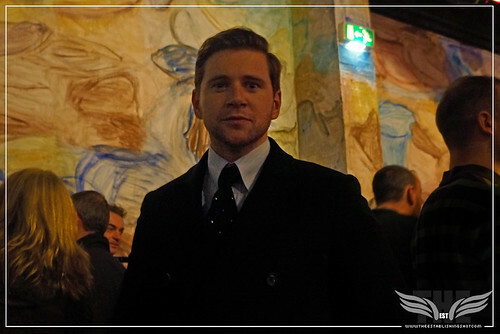 The Establishing Shot: IN FEAR PREMIERE - STAR ALLEN LEECH @ THE ICA PRESENTED BY STELLA ARTOIS, a photo by Craig Grobler on Flickr. Sadly the third of the In Fear star trio Iain De Caestecker who plays Tom, was not able to attend the premiere as he is filming Marvel's Agents of S.H.I.E.L.D. and wrapping up on Ryan Gosling directorial debut How to Catch a Monster with Saoirse Ronan, Christina Hendricks, Matt Smith and Eva Mendes. Comedic legends; Simon Pegg, who has Kill Me Three Times comin up and Nick Frost who has just completed dance comedy Cuban Fury alongside Rashida Jones, Chris O'Dowd, Ian McShane, Kayvan Novak and Steve Oram both of which attended the In Fear screening. Cuban Fury is scheduled for a Valentine's Day 2014 release. In case you are wondering no - I did not ask either Frost or Pegg if they had any information on potential Star Wars castings. Paul Kaye was also there sporting his Game of Thrones beard and hair do. 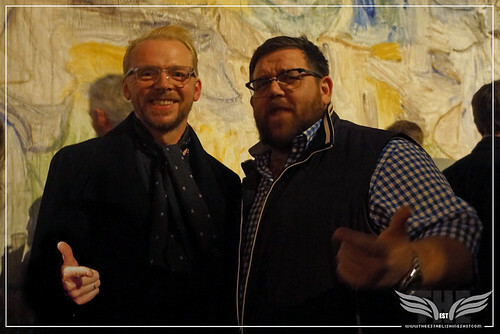 The Establishing Shot: IN FEAR PREMIERE - LEGENDS SIMON PEGG & NICK FROST FINGER GUN & SHOW SUPPORT FOR IN FEAR @ THE ICA PRESENTED BY STELLA ARTOIS, a photo by Craig Grobler on Flickr. Actor writers Steve Oram and Alice Lowe, as well as Cuban Fury Oram has Irish horror The Canal coming up. Whilst Lowe has a ton of stuff coming out soon including Tom Hardy starrer Locke and Electricity with Agyness Deyn. I also saw Producer Claire Jones who is currently working on Ben Wheatley's next feature Freakshift. 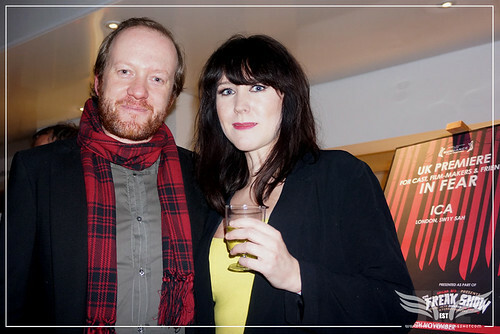 The Establishing Shot: IN FEAR PREMIERE - ACTOR WRITERS STEVE ORAM & ALICE LOWE @ THE ICA PRESENTED BY STELLA ARTOIS, a photo by Craig Grobler on Flickr. There was a great little moment where we discover what a legend Allen Leech actually is. As the long queue was making its way into the cinema our party was standing on the side chatting and Allen Leech comes over to chat to the organisers. I mentioned that one of the party who had just popped off is a huge fan and going to be so upset, that she was away when he came over. True story - so he asks for her name and when she reappears he walks over to her calling her by her name and gives her a huge hug. She was somewhere between being completely flabbergasted and overjoyed. This really happened. 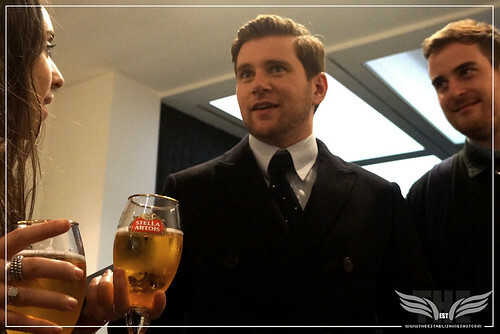 The Establishing Shot: IN FEAR PREMIERE - STAR ALLEN LEECH ABOUT TO SURPRISE A FAN @ THE ICA PRESENTED BY STELLA ARTOIS, a photo by Craig Grobler on Flickr. 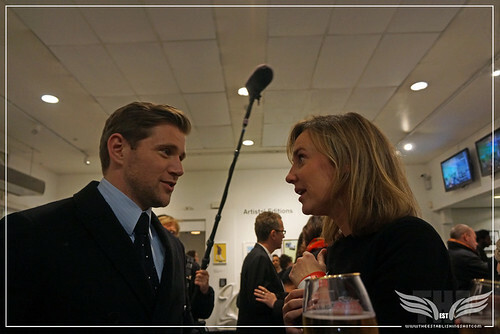 The Establishing Shot: IN FEAR PREMIERE - STAR ALLEN LEECH SURPRISES A FAN @ THE ICA PRESENTED BY STELLA ARTOIS, a photo by Craig Grobler on Flickr. And on that note we headed into the cinema for introductions to In Fear by Total Film's Jamie Graham, Director Jeremy Lovering and star Alice Englert. Allen Leach barely put his feet on the stage before he had to rush off North for an early morning TV interview. Before the lights dimmed and the terror started. 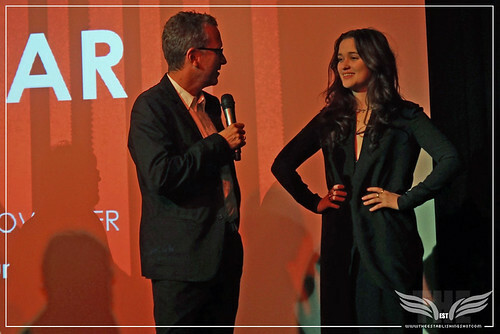 The Establishing Shot: IN FEAR PREMIERE - JAMIE GRAHAM & DIRECTOR JEREMY LOVERING INTRODUCES STAR ALICE ENGLERT @ THE ICA PRESENTED BY STELLA ARTOIS, a photo by Craig Grobler on Flickr. The Establishing Shot: IN FEAR PREMIERE - DIRECTOR JEREMY LOVERING & STAR ALICE ENGLERT INTRODUCE IN FEAR @ THE ICA PRESENTED BY STELLA ARTOIS, a photo by Craig Grobler on Flickr. 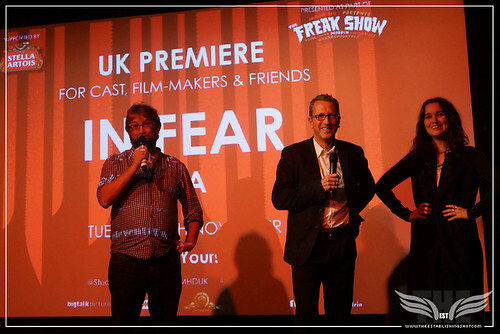 The Establishing Shot: IN FEAR PREMIERE - TOTAL FILM's JAMIE GRAHAM, DIRECTOR JEREMY LOVERING & STAR ALICE ENGLERT INTRODUCE IN FEAR & @ THE ICA PRESENTED BY STELLA ARTOIS, a photo by Craig Grobler on Flickr. The Establishing Shot: IN FEAR PREMIERE - JAMIE GRAHAM, DIRECTOR JEREMY LOVERING & STAR ALICE ENGLERT INTRODUCE IN FEAR @ THE ICA PRESENTED BY STELLA ARTOIS, a photo by Craig Grobler on Flickr. In Fear is the dread filled story of a young couple effectively on their first date. On their way to a festival Tom (Iain De Caestecker) surprises Lucy (Alice Englert) by making a reservation at the Kilairney House Hotel, for a little slice of paradise in the Emerald Isle. Part of the success of In Fear is that the relationship between Tom (Iain De Caestecker) and Lucy (Alice Englert) is so personable, it's awkward, clumsy but full of youthful hope. Of course things take a detour as the couple become lost in the woods on their search for the elusive Kilairney House Hotel and pretty soon the woods start closing in on them and their anxiety increases as the situation slowly descends into hell. Director Jeremy Lovering plays the characters natural charm against the dread of being lost in the woods as it slowly gets darker and the tension starts tightening and each of them deals with the new relationship and each other in their own way. This is helped with David Katznelson's voyeuristic camera work and a piercing soundtrack from Roly Porter and Daniel Pemberton who incidentally also works his ambient magic on his score for Ridley Scott's The Counsellor out in UK cinemas now. In Fear is the kind of film best enjoyed with little expectation or upon discovering it without being prompted. 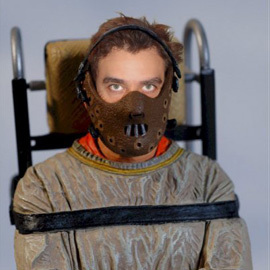 Jeremy Lovering deserves full kudos for creating a minimalist experiment into abject dread and if I had stumbled across it on Film4 switching channels late one night it might well have absolutely blown me away much like Mark Tonderai's Hush did, which incidentally shares some similarities with In Fear. But the worst thing that could happen to it, is that it continues to be over hyped building an expectation past the point that this tense little film can support. Go in expecting a taut little surprise from Jeremy Lovering with personable performances from leads Alice Englert, Iain De Caestecker and Allen Leech and chances are you'll be rewarded with a fine entry into the horror genre that is indeed reminiscent of the long tradition of chilling films the UK film industry is synonymous with. Driving, lost and tormented in the night, primal fears of the dark and the unknown give way to fear that you have let the evil in, or that it is already there..
You can find more about IN FEAR over at the Kilairney House Hotel website here. You can find out more about STELLA ARTOIS CINEMA over at their website here or Facebook here. You can find the ICA'a website here and follow them on Twitter here or Facebook here. 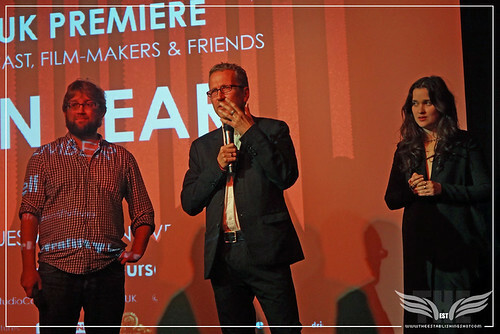 Stella Artois was delighted to support the UK red carpet premiere of In Fear, the debut psychological thriller by Jeremy Lovering. 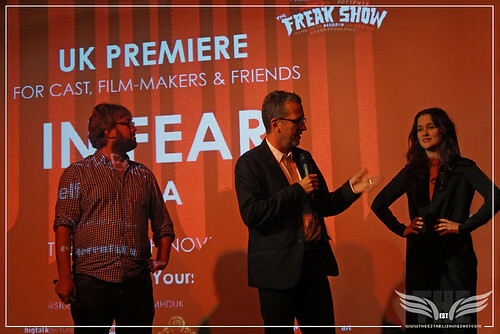 The premiere of In Fear took place at the ICA on Tuesday 12th November and cemented the brand’s long relationship with sophisticated film. The Stella Artois bursary programme aims to financially support exceptional creative talent and bring smaller releases to a wider audience, providing unique cinematic experiences to film fans. In Fear was the seventh film Stella Artois has supported since the bursary programme began in August 2012. In Jeremy Lovering’s chilling debut, a young couple fights to survive one night-turned-nightmare. Driving to a music festival, Tom and Lucy have plans to stay at a countryside hotel. But with hotel signs leading them in circles and darkness falling, they soon become lost in a maze of country roads, and the target of an unknown tormentor. 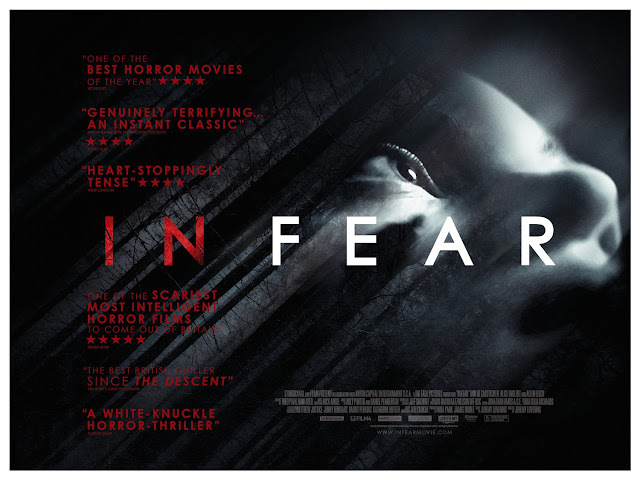 Reminiscent of vintage psychological thrillers and bolstered by newcomer Iain De Caestecker, along with Allen Leech in its main roles, In Fear plays out in real time and hinges on a claustrophobic, unrelentingly tense horror thriller. The In Fear premiere is the latest instalment in a series of events funded by the Stella Artois bursary programme which has been set up to support stand-out film. Previous support has enabling premieres for Sightseers and A Field in England. In Fear Premiere @ The ICA presented by Stella Artois, a set on Flickr.